Epilepsy is a disorder of brain function that takes the form of recurring convulsive or non-convulsive seizures. Epilepsy is not just one condition; rather it is a diverse family of disorders comprising many seizure types. 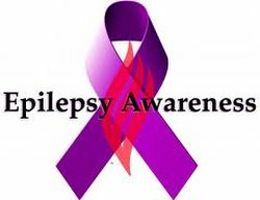 10% of the population are at risk of experiencing a seizure during their lifetime, while 3-4% will go on to be diagnosed with epilepsy. There are seizures that are not epileptic such as those that result from diabetes, kinked blood vessels and a range of other health conditions. Epilepsy is a common condition in our community and can develop at any age, regardless of gender or ethnic group. Research suggests that 3-4% of the Australian population will develop epilepsy at some stage in their lives. Epilepsy was once considered a disorder of the young as it was believed that most people experienced their first seizure before the age of 20. However, the over 55 years age group is now being recognized as being the most vulnerable group. This rapidly growing demographic group is subject to the kinds of cerebrovascular, respiratory and cardiac events that can lead to epileptic seizures.